Our private classes are structured for brand new dancers but we always instruct at a pace that suits the class. We start with a warm up, stretch, and then begin the instruction of the routine. We teach original choreography inspired by the song you request. We recommend a 1 to 2 hour session. One and a half hours is ideal. You take things at a nice pace and have time to film yourselves slaying the routine at the end of class as a keepsake of the experience. Please note, like most dance classes, we only teach choreography to a portion of the song, not the entire song during one class. $200 + tax minimum, which is $25 per person per hour at 8 people. $280 + tax minimum, which is $35 per person per hour at 8 people. $360 + tax minimum, which is $45 per person per hour at 8 people. After the minimum 8 people are reached, each additional person added to class will be $25 for a 1 hour class, $35 for a 1.5 hours class, and $45 for a 2 hour class. A price break is offered after 25 students as well as a class assistant. If cancelled with more than 30 days written notice, 100% of your deposit will be returned. From 30 days to 15 days prior, 50% of your deposit will be returned. From 14 days to 0 days prior, no deposits will be returned. 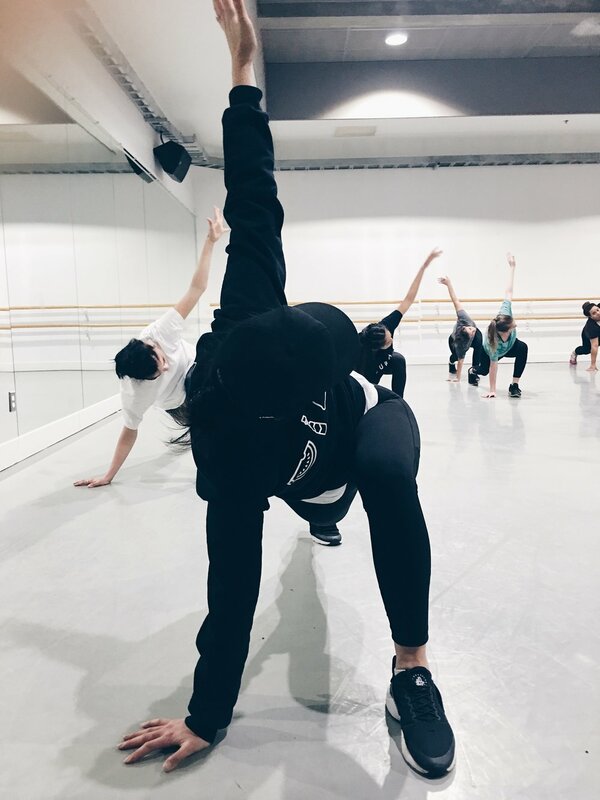 The price of our experience includes choreography, teaching, and access to the studio.